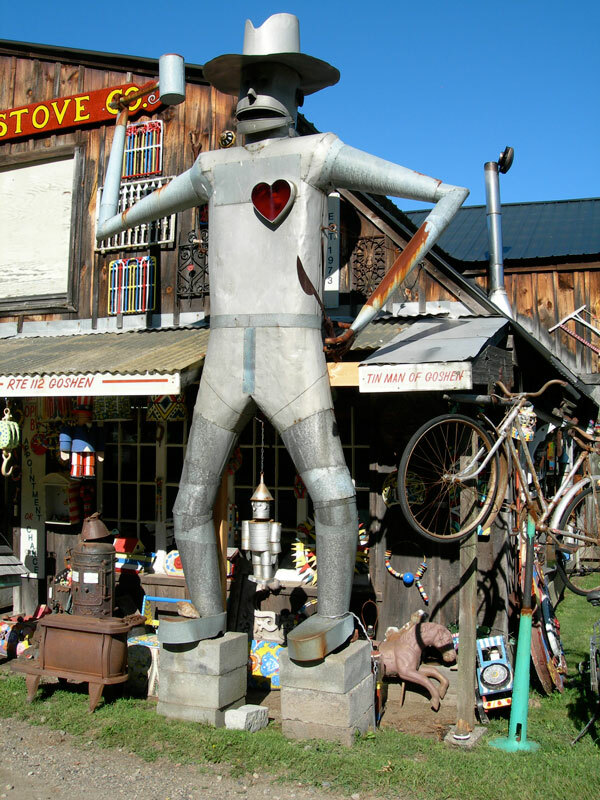 Unrevealed from the roadside and from the front of the Good Time Stove Company in Goshen, MA, lies a treasure — a healing garden, built by stove store and property owner Richard Richards to honor his three daughters (Tina Marie [late], Sara Wenona, Megan Elizabeth), called Three Sisters Sanctuary. The unique backyard grounds includes fire pits and stages, ponds and fountains, sculptures and mosaics, and is open to the public to walk through, ponder, take time, and enjoy this artistic and spiritual dream land. Additionally, events can be scheduled on the premises such as weddings, plays, parties and music concerts. There is beauty, fun, surprise, and thought provoking creative visual work and landscaping throughout the garden. 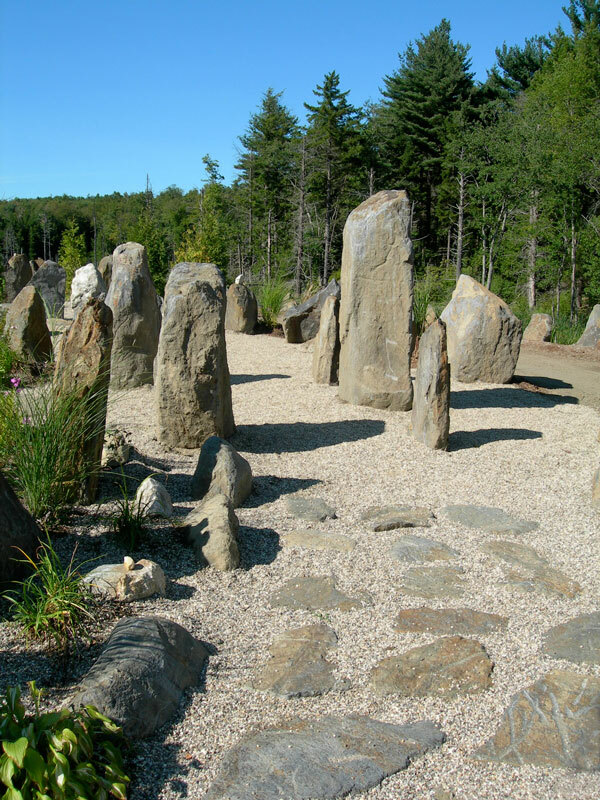 Giant boulders including quartz lined-up to create energy fields are carefully arranged, and all excavated from the property. An old friend took me there and Richard was there talking to people as they visited this special place. The stoves are a treat to see too. You are currently browsing the Janet Dodrill's Blog blog archives for September, 2010.